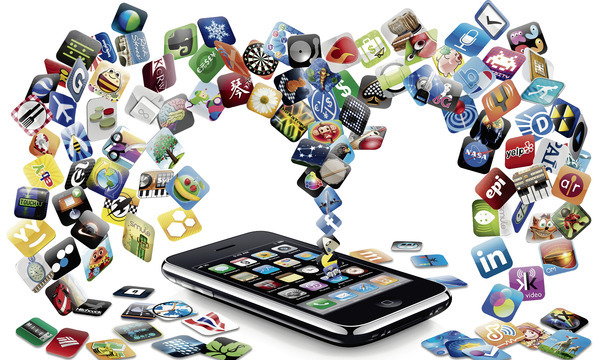 Mobile applications – a whole new generation of software and quickly growing in popularity to say the least. There are literally apps for (almost) anything you could think of. From the most intense and overwhelming mobile games to play to convenient and irreplaceable apps for your business. And while we are still on the business subject, let us take a look at some of the best apps for bar, pub and restaurant owners. With this app you can perform an accurate and hasty inventory check within minutes. In fact this little gem can completely solve the old “flying papers and scattered pens” problem you deal with every day. There’s also an analytics option where one can easily monitor who the winners and losers amongst the beverages are, what is running low on stock and what needs to be purchased. Running a business in this fragile economy is tough. And so is the successful tracking of your savings and spendings. We are fortunate enough to have free apps like Money Dashboard at our disposal. With it we can easily start making daily savings and find out where our money goes each month. The app is compatible with all major UK banks and credit card companies. Guestbook where you track favourite foods, preferences and allergies. Surely one could not memorise hundreds of cocktail recipes. A little cheat-sheet like this app will do you no harm. It is after all human to forget. And who knows, you might learn something new and even experiment and invent new drinks. Mixology offers a huge list of 8000+ drink recipes, over 1000 ingredients. All cocktail types are divided into categories for easy navigation. Bartending terminology, guides and techniques are also included for the knowledge-thirsty. Maintaining an establishment such as a restaurant or a bar requires much attention, especially to hygiene and cleaning. Sometimes the mess is so great that professional help is needed. This is where the GoFantastic cleaning app comes in handy. With a few taps on your phone you book cleaners to aid you in preserving the healthy environment of your restaurant or bar. A must-have for all bars and restaurants. With it you keep track of reviews of every major website such as Google+ Local, Foursquare, Citysearch and well as industry-specific sites like TripAdvisor and OpenTable. Your personal catalogue app. Read articles, save photos and videos of things that interest you and your business and share on social media with your fans in the form of a magazine. If you are a bar owner you can create a custom magazine about cocktails. Same goes for restaurant owners – dishes, specialties, gourmet magazine. A great app for social media management. In fact it helps connect with over 35 popular social networks. A sole post can be sent to multiple platforms with just a tap on your screen. This is an app customers use to “beat the queues”. With it you can place your order, pay via phone and get your drinks or meals right away. It’s very useful for clients to avoid waiting in line for ten minutes. They can even order before their arrival and pre-pay. An incredibly awesome app that lets you pick the music in the venue you’re in. The whole idea of it is kind of entertaining. You can compete through voting what should be played next. And the best part of it is that you can discover new music you like and socialise with people with mutual tastes. Author: LisbethLarose I'm a young writer who likes sharing life experiences and advice those in need. Other than that I can say that I'm an explorer of life in all its aspects.